On Thursday, Snapchat opened up its walled garden of World Lenses to the masses of creators with the launch of Lens Studio. Available as a free application for PCs and Macs, Lens Studio is billed as powerful enough for experienced developers to import their own 3D animations, but simple enough for amateurs to load 2D content. Users can import images, models, audio files, and other resources to build their experiences. Lens Studio provides a handful of templates, including interactive taps, animated objects, and picture frame experiences. Users can add and edit components and assign scripts to their content for their audience to interact with the Lens. When users are ready to preview their content, they can pair the Lens Studio app with their smartphone to view the experience. 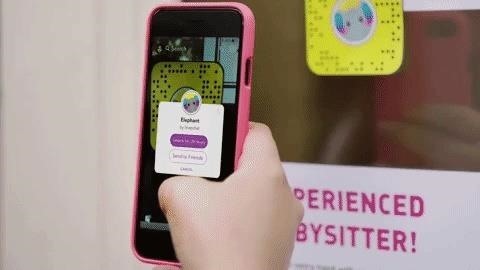 Once the experience is ready to publish, creators are given a Snapcode that can be shared online or offline. Of course, creators can also drive traffic to their Lenses by buying ads. The company has established a dedicated webpage for Lens Studio as well as a YouTube channel with tutorials for aspiring Lens creators to help them get started. While Snap previously disclosed during its third-quarter earnings call that the company was testing Lens Studio with select partners, the timing of its release this week elicits a certain feeling of déjà vu. That's because Facebook made its own AR Studio available to developers earlier this week. Now, in a strange twist, Snapchat is playing catch-up with Facebook, after the latter spent the past couple of years mimicking the former's AR features. But now it's not just Facebook that Snapchat is competing with. Apple and Google have also created platforms for inserting AR into mobile apps. 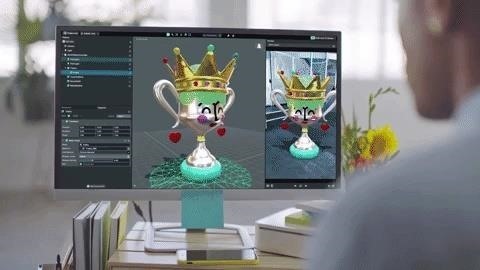 And Amazon has also introduced tools for creating AR experiences. Suddenly, there are a wide array of options allowing developers to create mobile AR experiences, further facilitating the adoption of the technology with businesses and consumers alike. What this all means is that Snapchat can no longer bank on its first-mover status. With the release of Lens Studio, so quickly after Facebook's move, it's clear that Snap Inc. understands that the AR wars have truly begun.